What are the small bays above the main one for? Sorry if this has been answered before, I looked and didn’t see anything on it. Awesome work by the way. I spend hours at a time on here sometimes, very cool website with excellent work. The Empire gets all the cool stuff. So Fractal apart from the Theta AT-AT barge and the Titan barge for the AT-SP how many more dropship types would you make? 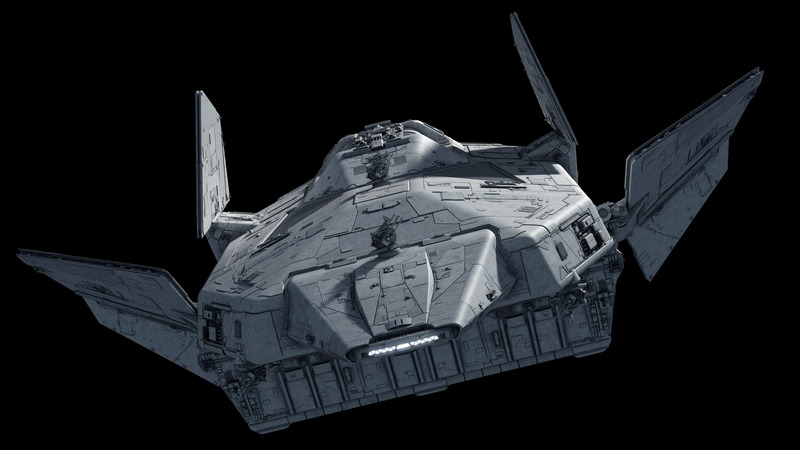 Neat and I do know about the brigade assault ship and the Chi variant But I hope to see this light dropship carried by frigates but do destroyers carry them as well like the Imperator? OK I did just answer my own question about the light dropships being carried by star destroyers because well really they can. So Fractal how wide is the Chi’s bay like around 60 meters? That concept became the Chi. Ah so the Chi is one of them neat. 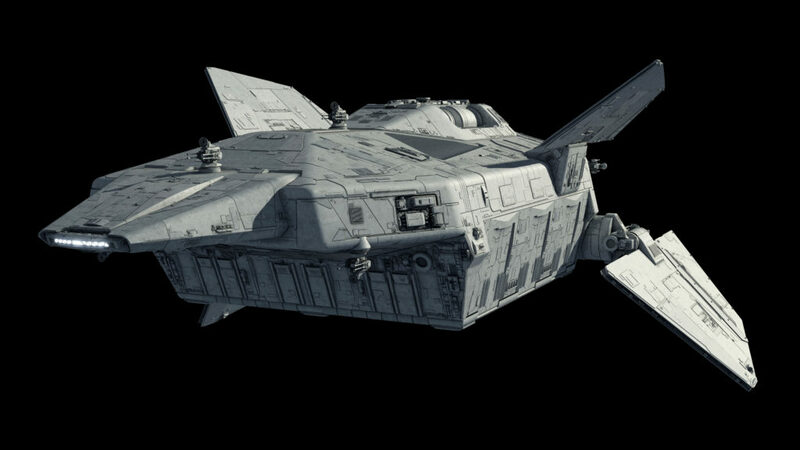 Speaking of Assault Carrier Fractal I was wondering is there was a chance of you making more Assault carrier types like maybe the smaller Division assault carrier type or the larger army assault carrier type unless the Consolidator is the one and only assault carrier that you ever make that is. I see and when you say carriers you mean fleet carriers and super carriers to be exacted and for the dreadnought highly likely to be the Executor right? As for the regiment/brigade/legion assault transport I hope to look forward for that sooner or later. 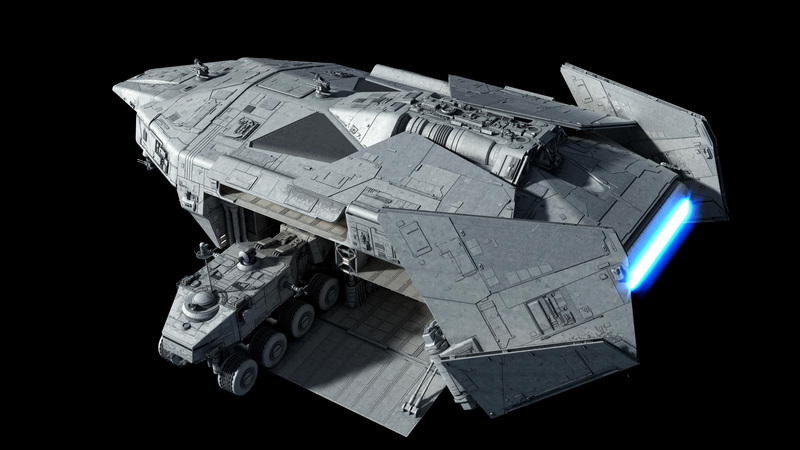 Also Fractal since you said a battalion is the smallest independent ground force unit does that mean there will be a battalion assault carrier which would be corvette sized or larger? Well I think battalion is probably too small to warrant its own dedicated ship. Mostly they’d be the ground complement of frigates and such. You could probably carry most kinds of battalions in a few Chi class if you needed them to be independently moved from warships in some way. Yeah I was thinking about it a bit earlier and it make sense to do that. 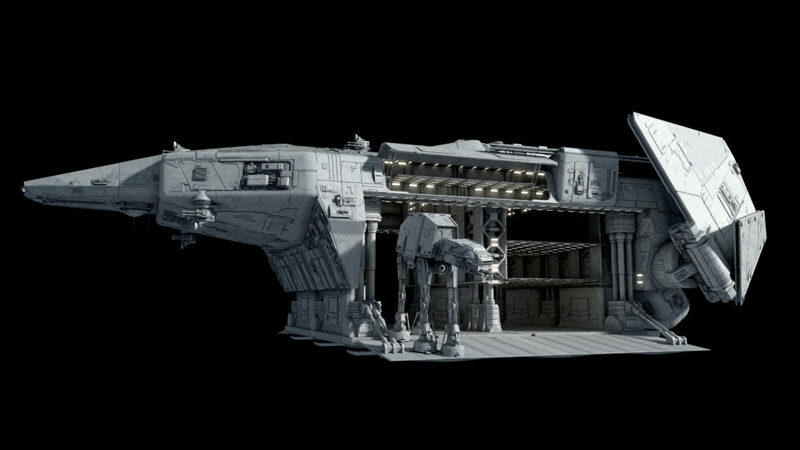 By away Fractal when you said the regimental/brigade assault transport would be roughly be medium frigate sized it is something like Kontos sized or Strike Cruiser sized and if the former will it be a Kontos variant? I like this ship a lot, but i’m a little confused. I’ve looked over all your space craft, and there is nothing that can deploy that AT-AT on steroids you did. How do they even get that thing onto the ground?? 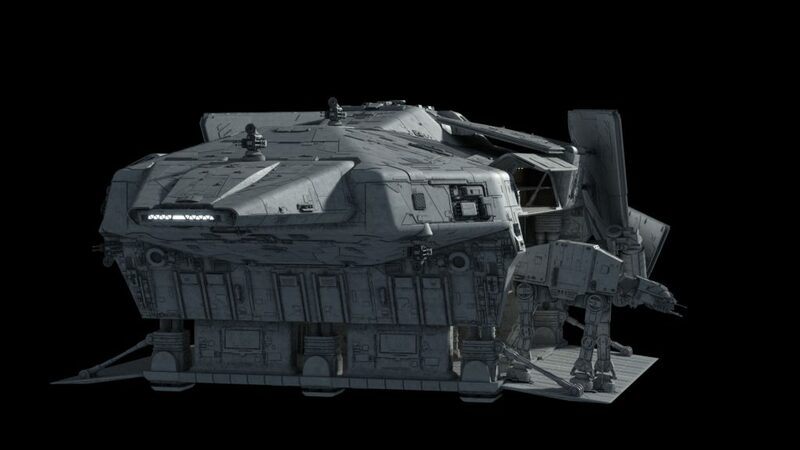 Although Fractal I wonder would it be possible to make a Chi variant that is designed to carry the AT-SP or even 2 onto the ground in the style like the Gozanti did to it’s 2 AT-ATs in Rebels for the latter or not? Awesome so there a chance that you will make this variant someday? As for the legs hanging out being not pretty I don’t mind them as I know the AT-SPs always have there legs straighten out so I’m use to it. I wonder Fractal how many AT-SWs would fit inside of the Chi? Quite a lot but deployment wouldn’t be super fast since they’d be stored multi-level and would need to be tractored out from the upper “layers” or something like that. I haven’t blocked it out. Right so like around 8-12 or more? So Fractal any update on your Imperator redux progress so far? Welp never mind the WIP 5 is up so yeah awesome. 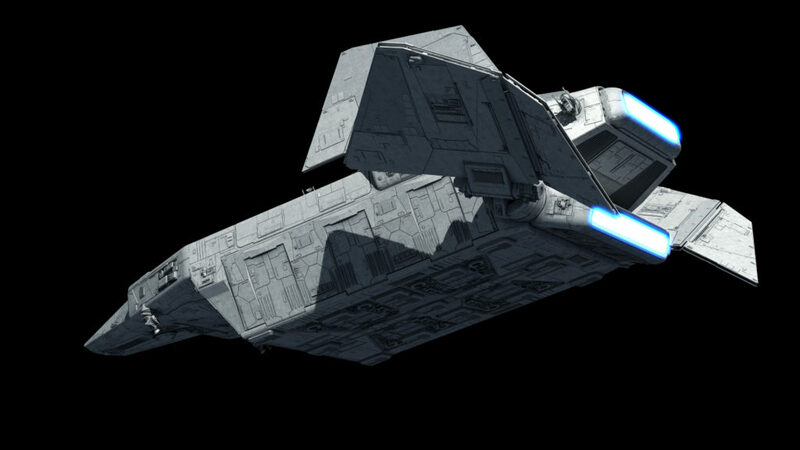 Do you think that later Star Destroyer designs like the Galactic-Class battlecruiser or even the Pelleaon-Class were true improvements upon traditional Imperial Star Destroyers? I have seen a lot of people claiming that because they were generally smaller they would not have the same level of capability. 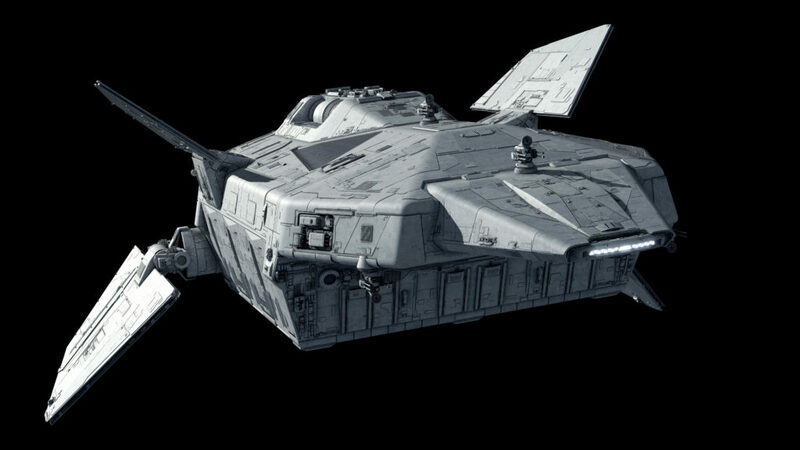 Huh just found out about the Galactic class it was interesting although the weird thing about it is that the Galactic Alliance change the Galactic class ship type to a Battlecarrier type instead of the usual Star Destroyer type just to avoid reminding people of the old imperial terror symbols even though they use Nebula/Defender before as the New Republic which they are still called Star Destroyer. In theory there could have superior reactors due to technological development, but neither the Galactic-class “battle carrier”, nor the Pellaeon-class Star Destroyer are smaller than the Imperator-class. The Galactic-class is the same length as the Imperator, but is noted to be one-and-a-half times the tonnage and thus would be able to have a larger, more powerful reactor. 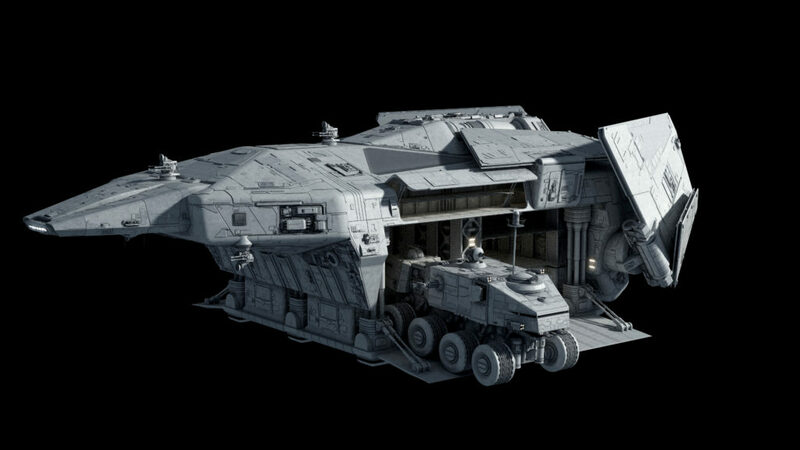 The Pellaeon-class is supposedly shorter than the Imperator-class, but again, may be more massive. A ship’s volume, not its length determines its power. Looks pretty good! Just like this comment system! So Fractal what is your thoughts on the AT-AP and what role do you think it have that is different from the SPHA? Tank destroyer type light vehicle vs a siege howitzer. Ooo a Tank destroyer type interesting. It does sort of have a jagdpanther aesthetic about it, although I don’t know how effective sloping armor would be against heavy laser fire. Must be tough finding hull-down firing positions with that kind of height. Rejoice! We can finally upvote and edit comments! How do these vehicles fit when the bay is in the raised position? The AT-AT doesn’t seem to kneel very well, much less lay down. The AT-AT can shave a few meters by bending the legs, and you’ll notice the ceiling of the bay is recessed – the top bay is very shallow and pretty much is only over the door mechanism. So as of right now only 20 (Or 21 if Fractal were to make the Imperator 1 4K) Fractal models With different side view pictures instead of one picture of it, are left that are yet to be 4K, 14 or 15 of them being imperial. 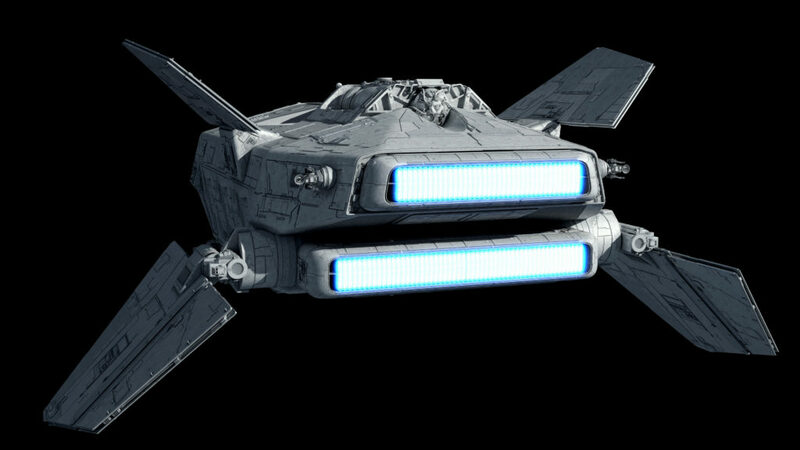 Well for the first part I counted the models that are not 4K yet and for the second part I meant to say for the models that have more than one picture to show different angel view like the front or back of the model, while the Harrower, Nebulon, Endurance and TIE Predator only have one picture. Forgot about the Imperator 1 also only have one picture here aswell. Now could this open up the door and have the cargo fire out while in-flight? Of course. I’ll do some deployment renders later when all my surface vehicles are updated. Now could a StarFighter fit in there and fire? Sure, but not sure why it would bother. There are point defense turrets on the ship, and a fighter shooting from inside the bay is basically a really expensive turret. Just a crazy idea that I think would really well as a surprise during battle. 1) Are those bays lit with incandescent, fluorescent, or LED lights? 2) Top Gun Manuever in a Juggernaut: raising the antenna mast so that it just kisses the top sill of the loading bay as you drive it out. This may well be my favorite design from Fractal. 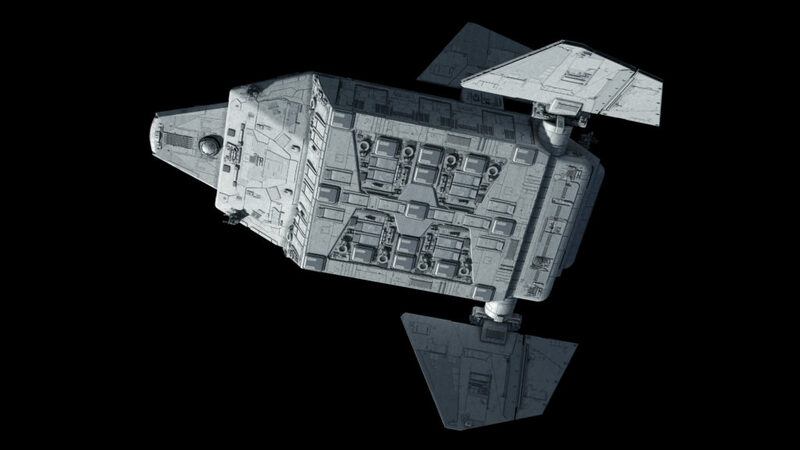 Kind of like the big brother of the Lambda class shuttle. If I could pick one ship to be made canon I probably would choose this one. Fractal, Two Question; could the Assertor Class Dreadnought carry any of these dropships? and how many AT-AT’S could the dropship fully loaded carry? Not Fractal but I do know the latter answer which is 8 AT-ATs with 2 companies of troops. As currently configured, no it couldn’t internally, but the bay volume can take large numbers. It’s just the loading and unloading would need to be done by space pontoon bridge or something. Precarious but not impossible. I wouldn’t be surprised if some variety of self-assembling repulsor pontoon wasn’t standard issue gear for AT-ACT combat engineer walkers configured as AVLB units. 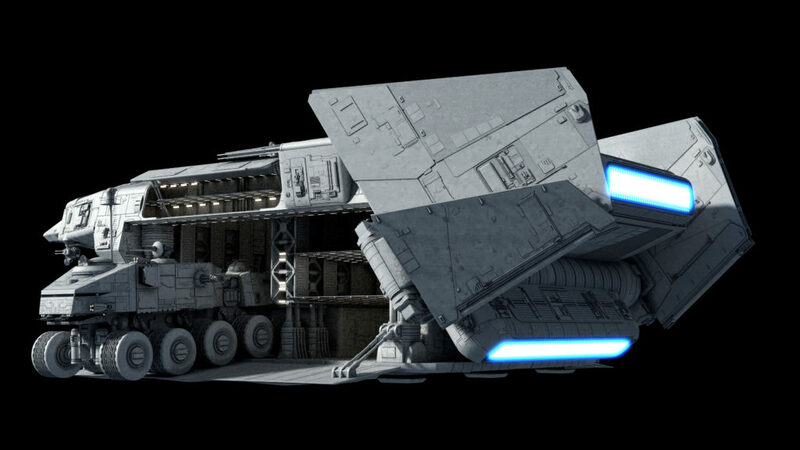 Such a vehicle could throw down a bridge over a ravine or river in seconds to support the advance of AT-ATs and HAVw A6 juggernauts over what would normally be impassable terrain. Just found out that Pontoon is a real thing like a boat sorry for my Ignorance. 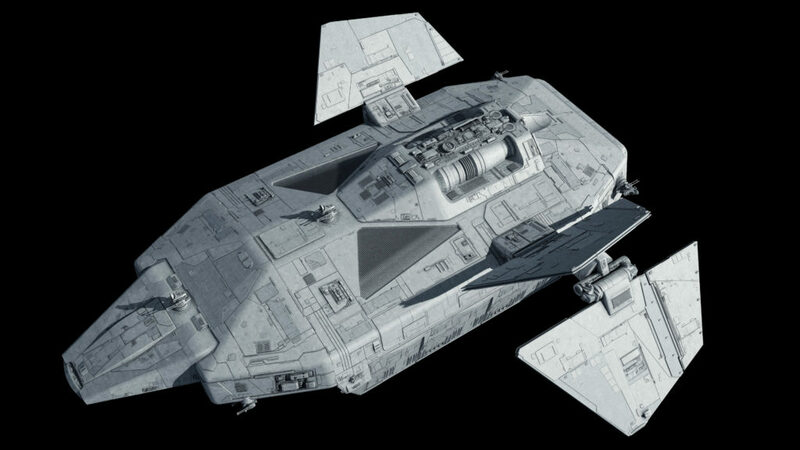 So Fractal I know that this heavy dropship can fit in the huge square hanger bay on the Consolidator, Impellor, Compellor and the Legator but I wonder how many can you fit these heavy dropships inside a single huge square hanger bay or is it only one heavy drop ship? The huge square bay isn’t even meant for these, though Chi-class can fit certainly. They’re for BIGGER dropships. The Chi bays are the intermediate sized long bays (12 in the dorsal trench, but you can see a few on the flanks as well. 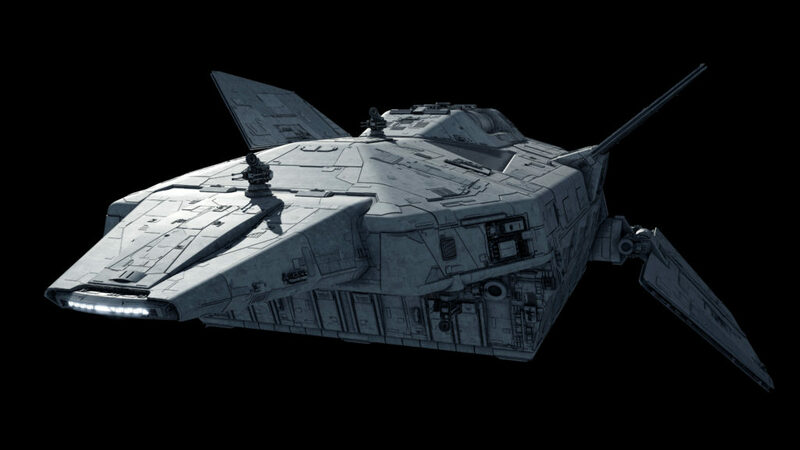 Chi-class barge would be loaded inside, then retract their bottom bay and slide out side-to-side on tractor/repulsor and then deploy wings. 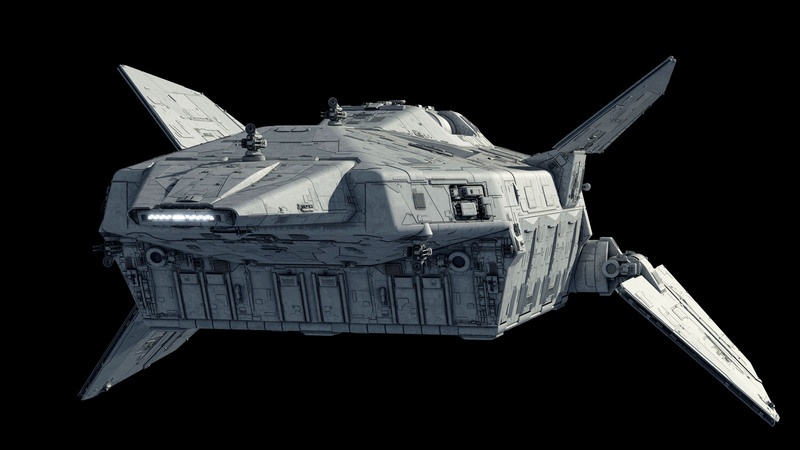 Wait there a dropship even larger than the Chi and since you said there is then how much larger? Ah right I remember it is a titan barge variant designed to carry a AT-SP then I bet it won’t be as long or wide as the Chi but would dwarf it by height. 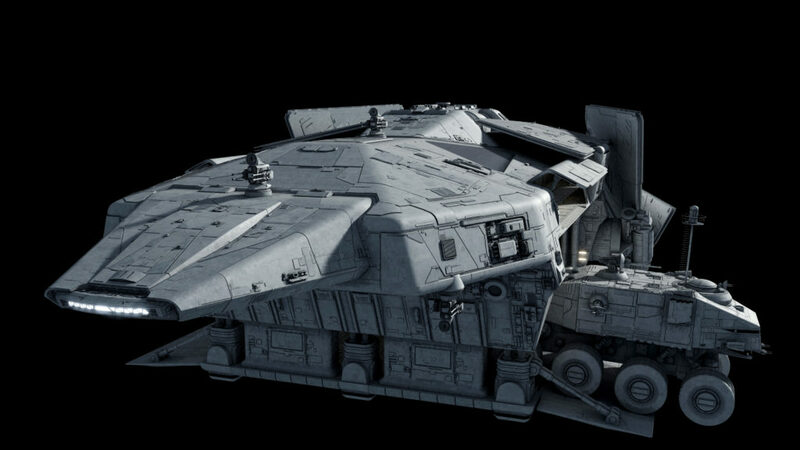 Give it a hyperdrive and it would be pretty good supply ship. Interesting concept, like the C-2 Greyhound of the Imperial fleet. Just realized, they already have a bird that does this. 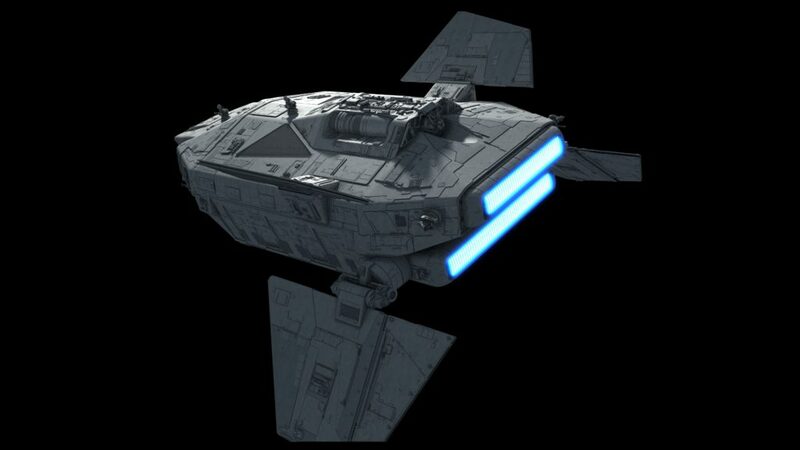 The Zeta-class cargo shuttle is hyperspace capable and dedicated to cargo lifts. Smaller though, so they would need many more of these ferrying back and forth. They also have the Eta-Class Supply Barge, which looks like it dwarfs the Chi-Class. No info on it being hyperspace capable, but it’s a safe bet that it is, given the lack of large freighters hanging around Scarif when Rogue One arrives. *When the Alliance Fleet arrives. Ah yes, forgot about the Eta-Class. 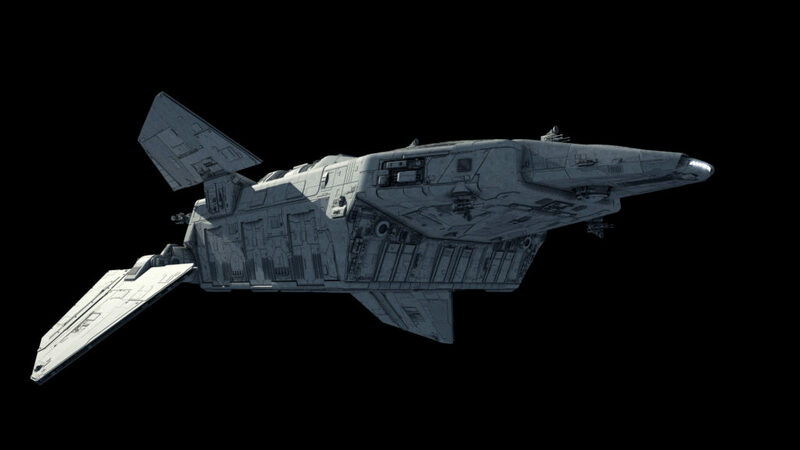 That looks to be about 12x longer than the Zeta-Class, and if the ship it was tending had no cargo bay large enough it could connect to standard airlocks etc. Good find. Dropships generally deliver cargo from orbit to surface, they don’t need hyperdrive for this. I presume that it is such example, orbit-surface task ship and such role make hyperdrive not needed. Except Sentinels, Assault Transports, Stormtrooper Transports, and various shuttles with dropship roles all have hyperdrives. They may not be long range, but the whole point of a dropship is to give its parent craft options. If that’s sitting outside heavy turbolaser range of a planet as a dropship swarm micro-jumps into range, then that’s well worth it. If it’s shuttling forces quickly across nearby systems, that’s good too, otherwise you have to move a much larger ship back and forth. At that point, you’re better of using an acclamator. It’s a hundred time larger than the eta and it has a range of a 100.000 light years. I don’t think so since the Acclamator is a assault ship meant to carry troops and war vehicles (Repulsor tanks, troop transports and walkers) into the battlefield while the Eta is a supply barge meant to carry large amount of cargo and supplies around like kyber crystals to power the death star during the imperial occupation of Jedha.